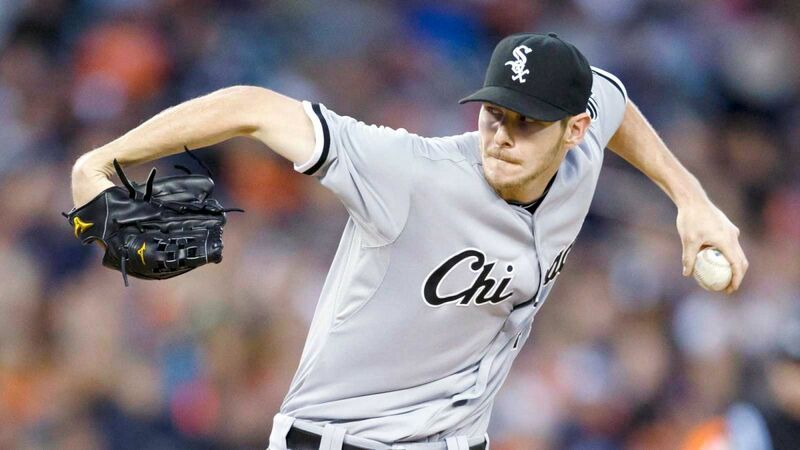 Chris Sale is arguably the best pitcher in baseball. He is a perennial Cy Young award candidate. So, when the White Sox front office leaked some information that they may be willing to trade their star, you knew Dave Dombrowski was going to inquire and ask about the lefty. Dave Dombrowski has always had the reputation of trading anyone of value to get value back. The Red Sox have the prospects, and talent, to pull off a deal of this magnitude. In order to get this deal done, Dombrowski would need to think about young controllable talent. Since Sale is the best pitcher in the game, the White Sox can pretty much get whomever they want, and we all better believe it will involve multiple somebodies. Chad Finn on Boston.com posted an article in which he outlined how Dave Dombrowski has mentioned he is done making significant moves and likes the way the team is currently made up. We all heard the same in December at the winter meetings when he added David Price on a free agent deal. Let us not forget early in November when he traded 4 highly ranked prospects for Craig Kimbrel. In his eyes no player is “untouchable.” Dombrowski made that evident just last year at the trade deadline when he traded David Price, Yoenis Cespedes and Joakim Soria in a matter of hours. Enough of the chatter about how Dombrowski operates, let’s get down to the nuts and bolts of this conversation and discuss what the Red Sox would need to give up to pull off a deal like this. The Red Sox are in possession of the second best farm system in all of baseball. To even get invited to this sale, the Red Sox are going to have to bring their shiniest objects. There are two ways the Red Sox and Dombrowski could go about this. They can flash their Minor League prospects in front of their eyes, or they can go MLB talent with lesser Minor League players. The package of Minor League players would for sure have to include either Yoan Moncada or Andrew Benintendi. The Sox probably will need to include flame thrower Michael Kopech and young third baseman Rafeal Devers, also. I know this seems like a whole lot to part with, and it is, but we are talking about the best pitcher in baseball, and also one who has the most team friendly deal for a player of his caliber in the MLB. I do not see the Red Sox parting with this much of their Minor League depth. The investment in Moncada last year was a great one. I would hate to see him terrorize the American League knowing what could have been. Benintendi makes the most sense here as the guy as the centerpiece of the deal. He is blocked at the Major League level now, by Brock Holt, Chris Young and Blake Swihart. I’m not saying they won’t find him a spot, but as of now he is blocked. Also, it doesn’t appear he is in the Red Sox immediate plans, as there has been a need at left field for most of this year and he is still in Double A. Michael Kopech has a nice scoreless innings streak right now and touched 105 on the radar gun last week. After his adjustment period to a higher level of Minor League ball, Rafeal Devers is starting to really hit. The deal with Major League players should start with Drew Pomeranz. Yes, I know the Red Sox just added him to the roster. If the Red Sox acquired Sale they would have 4 left handed starters in their 6 man rotation, assuming that Eduardo Rodriguez is still a starter. If the Red Sox trade Pomeranz, they would obviously need more to really “Wow” the Pale Hose. The deal that makes the most sense for the Red Sox, and fills the needs of the White Sox the best, would be the following: Drew Pomeranz, Andrew Benintendi, Rafeal Devers and Travis Shaw. This will give the White Sox a prized middle of the order bat in Benintendi, a young 19 year old infielder in Devers, and Drew Pomeranz, a proven starter who can step right into their rotation. I know that he won’t be Chris Sale, but what pitcher is. I included Travis Shaw in this deal because he is a left handed bat who can play the corner infield spots as well as DH. He can hit for power, he hits for an average, and drives in runs. He would fill a need for the White Sox, as they have gotten virtually nothing from their DH spot and Jose Abreu has really been scuffling. I think this combo of players may get us invited to the sale, but with the White Sox driving and having nothing to lose, any number of the players I mentioned and even players I didn’t mention are fair game. The real question is how badly do the Red Sox want Chris Sale for the price they would need to pay. It sure will be interesting on Monday to see how this plays out.